Do you remember the sensation when you first held your first camera in your hands? 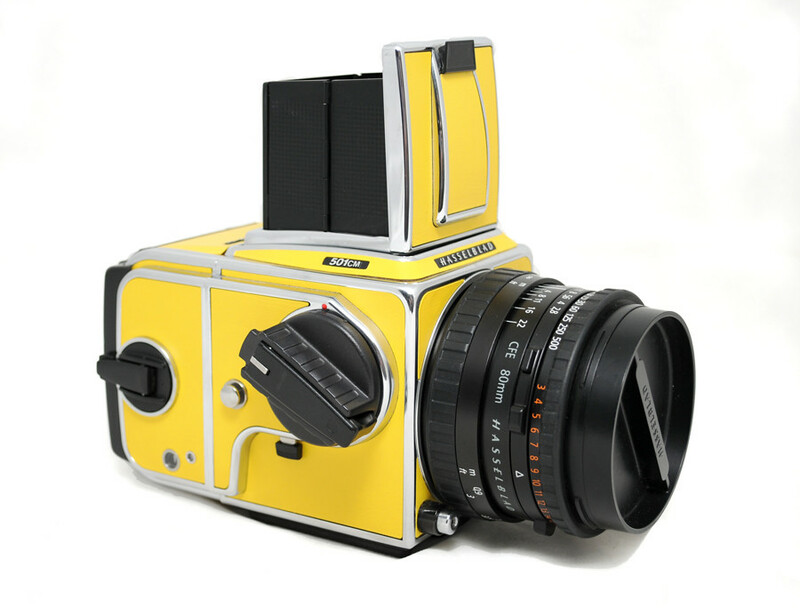 My first purchase was a Hasselblad 501cm (see below) in the special edition sun yellow color. It was a little hefty, but felt solid. I learned the basics of photography and fell in love with that camera. My ears still perk up when I hear brand new photographers getting excited about their first DSLR and lens purchase. With the digital age, aspiring photographers can immerse themselves in online education. The instantaneous feedback that digital so graciously provides drastically decreases the amount of time required to learn as opposed to the analog day, and a steep college tuition bill is no longer a prerequisite to be taken seriously, especially now that doing the real work as an assistant seems to carry more weight than a degree. How do I find what I am passionate about and how do I go about it? In the beginning, experiment with it all; become one with your camera in nature while learning what it takes to capture the vast landscapes with all of its beauty and everything that nature has to offer. Photograph that beautiful meal sans the smartphone. Adjust your settings to capture the speed of a sporting event and test its limits by dragging the shutter to make a raging river look as smooth as glass. Get a tripod and experiment with architecture and interiors. Take that trip you’ve been dying to take and try to capture it from your perspective through your lens. Go out with some friends and take your stab at the fundamentals of portraiture. As your skills progress, offer to assist on jobs such as weddings, headshots, and/or product photography. Understand that the photographer you are assisting is offering a quick lesson equivalent to that of a semester class. Immerse in it and learn as much as you can. You will soon have an inkling of the direction you would like to go. 2) Don’t buy gear. Rent it. Once you have found yourself gravitating toward a few specific niches, plan out shoots to build a foundation and rent gear to get the job done. Many states have rental shops that you can rent from for the day. If not, there are also websites such as borrowlenses.com and lensrentals.com or Lumoid. The day rate may seem a little pricey at first, however, it is a lot less expensive in the long run than spending $1000+ on a lens that isn’t needed and can only be re-sold for a fraction of that price. Rent a wide angle lens for real estate photography and a bunch of other things and a solid prime lens for portraiture. At some point you will more than likely gravitate away from being solely a natural light photographer and want to get into artificial light. Rent both speedlites and monolights to see what fits your needs. Then buy the essential gear you will use for the bulk of the time and rent everything else. Circa 2003. Captured with a 4×5 Sinar camera on E-6 transparency film. 3) Learn to properly edit your work. Download trial versions of Capture One, Lightroom, Photoshop and various other editing programs. Check out Youtube channels and research online tutorials to learn the fundamentals of the software. Purchase the ones that best suit your workflow. You may want to play around layering several frames of the same image for an HDR effect, or use photoshop to make it look like a person is levitating. Do whatever it takes and have fun while learning it. There are so many actions and presets available for purchase out there, and that is a personal choice if one chooses to go that route. I know I did when I first began the crossover to digital after taking a seven year hiatus. I spent a lot of money and no longer use them, but that’s not to say they’re not good for the right occasion. I would suggest learning to capture a properly exposed frame without the need of an action to salvage it, but to each their own, and if you’re going to use them understand that they are there to add but not to save. Be prepared to fail. A lot. In the beginning it is very normal to have these incredible images that we want to create and to fall exquisitely short on the first try or two. It is an essential part of the journey and it is what we learn from it that catapults us forward. Learn from the failure, apply what you’ve learned and try again. Being able to throw some dirt on it and walk it off will keep your skills progressing as a photographer. This took over two hours of trial and error to figure out the lighting for this one image. After seeing what it takes from start to finish to bring an image you have envisioned to life, you will have a clear understanding of the workflow. You will also determine which genres that you really don’t enjoy the nuances of, thus focusing those efforts elsewhere in an area that is found to be truly enjoyable. If the process doesn’t give you butterflies, you don’t have to keep going down that particular path. Once you have carved out a specific niche or several niches that you want to pursue, invest in the gear and education that will best help you achieve that goal. It isn’t necessary to buy the best gear money can buy right off the bat, especially if photography is a hobby, but good gear does tend to last. Also, you don’t need a full fledged studio and vast array of lenses immediately. Start with the basics to get the job done, even if it is only one or two lenses. To this day, I only own one camera body, two lenses, and a single monolight with several modifiers. Upgrade and/or add equipment only when it begins to limit you. And most importantly, enjoy the journey.